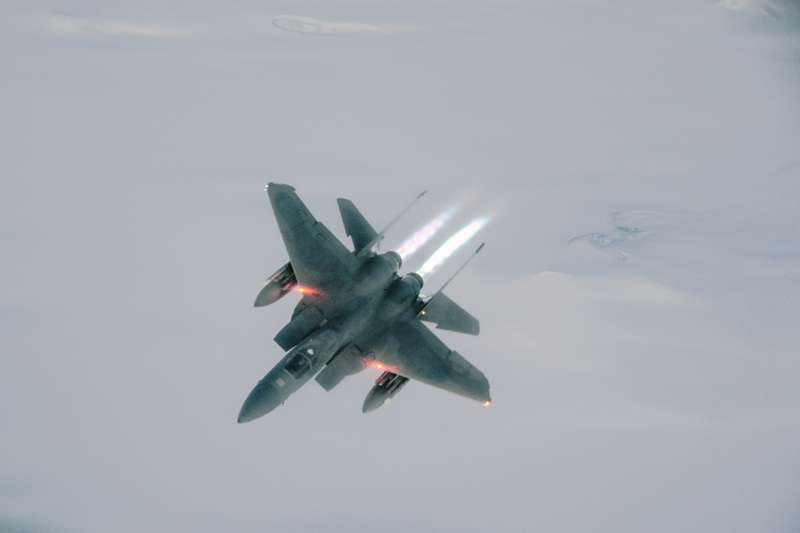 Some cool F-15C Eagle air-to-air images. 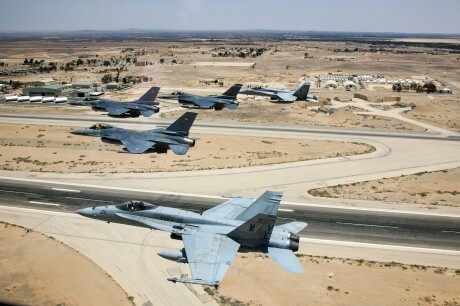 As we have recently explained, thanks to its privileged position onboard a tanker, the boomer has a unique place from which he can take interesting photos of military aircraft. Taken by photographers MSgt. David Loeffler and SSgt. Christian Jadot from the boomer position, these cool shots prove once again this claim. 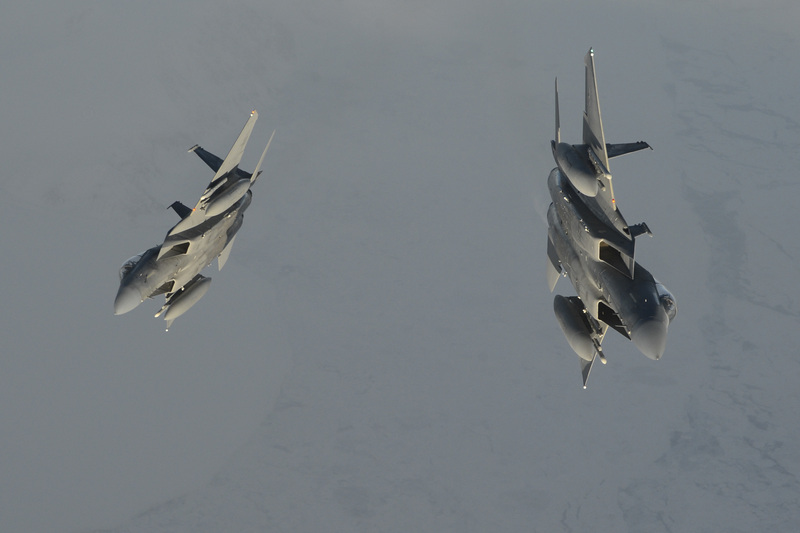 Taken during Exercise Vigilant Shield 16, which took place from Oct. 15 to Oct. 26 and involved approximately 700 members from the Canadian Armed Forces, the United States Air Force, United States Navy and the United States Air National Guard, the following pictures show F-15C Eagles assigned to 194th Fighter Squadron from the California Air National Guard’s 144th Fighter Wing receiving fuel from a KC-135 Stratotanker. 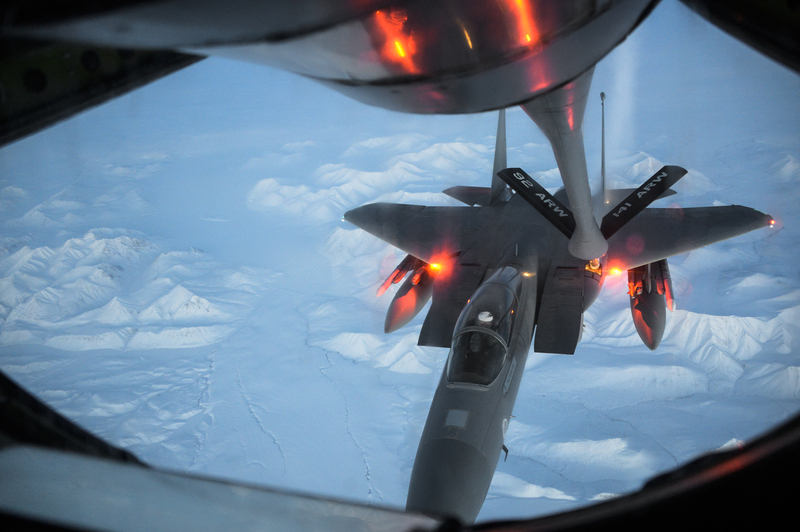 Even though the U.S.’s premier air superiority fighter is the Lockheed Martin F-22 Raptor, the F-15 is still one of the best western interceptors and the Eagles of the units belonging to the U.S. Air Force and to the Air National Guard are routinely deployed overseas for both training and real operations.